Hi guys! Hope you all had a great weekend. We got to visit with some family, tackle some things around the house and I finally wrapped up my closet cleanse. I’ll be sharing how I purged and refreshed my closet with you all on Wednesday, including steps you can take to make yours a space that brings you joy too! Today’s outfit consists mainly of pieces from LOFT and Madewell, both of which have sales running right now. I’ll share some of my top picks from both retailers below. 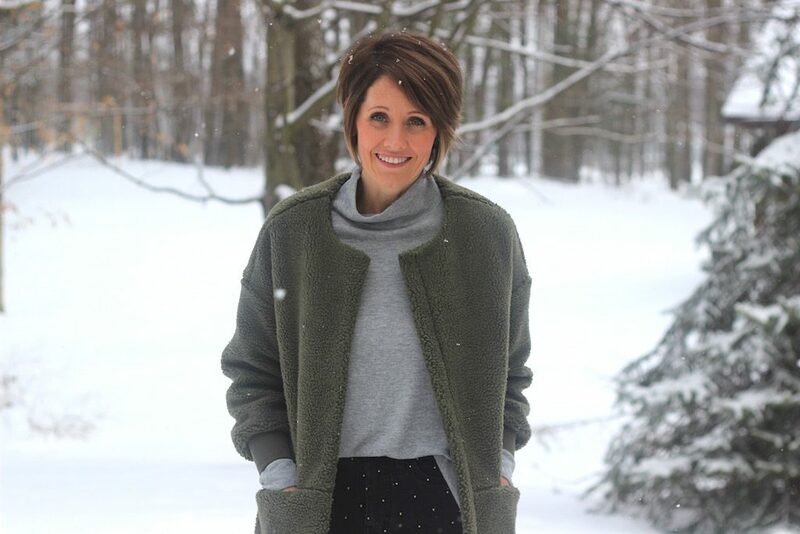 This Lou & Grey tunic sweater is a keeper for sure. I shared it during my last try-on here. Although I wore it tucked in for this look, it has a good length to it which would work with leggings or a cute pair of joggers at home. It also comes in a really pretty shade of purple. 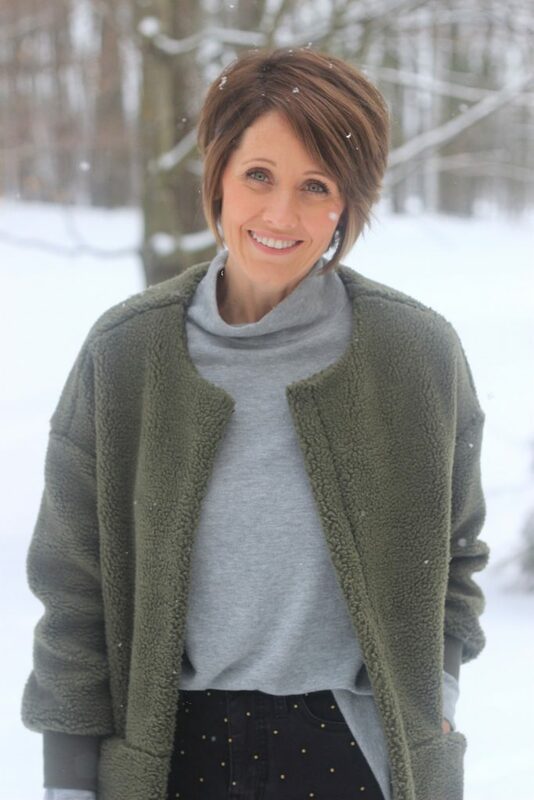 I’ve shared this coat before which you can still find here, but the jeans you have yet to see and they are also a part of the sale running through today. The gold embellishments are actually sewn in, so there’s no risk of anything falling off from wear. I love that they’re not your typical black jean, yet they’re just as versatile.